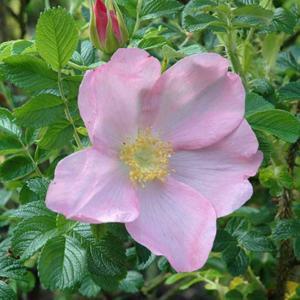 Vigorous growing and with good dark green foliage and very thorny stems. Single pale-pink flowers. Strongly scented. Large red hips follow in autumn.